In the 24-hour “breaking news” world we currently reside, we seem to have become somewhat desensitized to violence and tragedy. Horrible acts, spun farce by the media or not, don’t seem to get to us as much as they should. Death, destruction, and mayhem are shoved down our throats every time we go online or turn on the TV, and it’s rarely as surprising as it ought to be. That being said, when I first read about last week’s murders, I lost it. I didn’t wail or shout towards the heavens, but I had to put everything on hold, pace around my apartment for a while, and let a few tears go. I am not a man of faith. I do not believe in God, nor do I care much for Christianity. But religious or not, I empathize deeply with people who are interested in figuring out what to do with their lives and comprehending the true essence of morality, and seek out places of solace in which to do so. Whether you are looking for those answers in the Bible, in a laboratory, or in the mirror, I’m right there with you. The thought of being faced with intentional harm or execution in a setting as well-intended as a church rattles me to my core, and I deeply regret the fact that it can actually happen. My heart goes out to the victims, and to the survivors and their families. I hope that life had been kind to those who were lost, and that those whom they are survived by find closure and happiness soon. I don’t know about the term “hate-crime” or how useful it is. I operate under the premise that race is a myth that accounts for nothing apart from physical characteristics, so giving a special distinction to events that occur because of race (or some other dumb difference that divides us) seems counter-productive to me. Murder is murder, assault is assault, theft is theft, and crime is crime, plain and simple. Regardless of what I think about acknowledging hate-crimes, there is absolutely no question that nine innocent people are dead for no reason other than their skin color. How anyone could do such a thing is beyond reason for the reasonable, and beyond rationalization for the rational. It’s an ugly reminder of the idiocy an immoral mind can conjure up. It was also an act of terror. In the same way that Islamic terrorists want “infidels” and the Western World to be afraid for their ways of life, and use violent force to impose their beliefs, this murder was committed to stir up fear of whites within blacks, and to push for a racist uprising. I guess there may still be more to the story than we currently know, but it’s been pretty transparent thus far. Using or threatening violence to instill fear is terrorism irrespective of the ideology behind it. One point many left-leaning individuals and publications have been propagating is that while violent criminals who are black are called thugs, and Muslims who kill are called terrorists, white men who are guilty of mass murders are called mentally ill. It’s certainly an easy tendency to notice. But we have to think about these things before rushing to judgement, and declaring a state of racist emergency. Why are Michael Brown, the three teenagers who murdered Chris Lane, and the Baltimore rioters called thugs? The thoughtless answer is to say it’s because they are black. But skin color is not the only thing they have in common. These criminals also seemed to be enamored with an urban or gangster lifestyle. And while rap music itself is not to blame, violence and thuggery are ever-present in rap music, the culture it promotes (genuinely or not), and the personal lives and histories of many rappers and the communities they come from. And those rappers are very influential for impressionable young men whom social justice warriors and many civil rights activists treat like children. 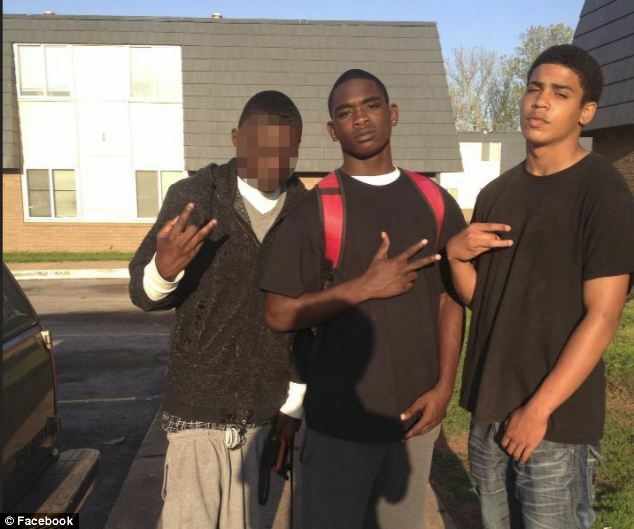 Michael Brown held up gang-signs in many of his photos, and robbed a convenience store for drug paraphernalia before his tragic confrontation with a police officer in Ferguson, Missouri. How is it unfair to call him a thug? It’s wrong to see a few photos and proclaim you know someone, but common sense makes at least some of Brown’s tendencies (long-term or short-term) pretty clear. In 2013, James Edwards, Chauncey Luna, and Michael Jones lawlessly killed Chris Lane, a 22-year old, Australian baseball player who was out for a jog, and claimed they did it out of boredom. Photos of them that can be seen online exemplify hip-hop culture with wads of cash, gang signs, and guns. They also said some pretty revealing things on social media. Again, genuine or not, they at least portrayed themselves as thugs. The Baltimore rioters, many of whom were high school kids from fatherless homes and communities, acted and dressed like an anarchic mob, and committed burglary and property damage. While I personally see these young people as being heartbreakingly victimized by a bad culture and the welfare state, it takes dishonesty to dissociate them from acting like thugs. These people are not called thugs because of their skin color. They are called thugs because of their character, and the culture they personify. And if you need proof that light-skinned people who engage in thuggish behavior are not misrepresented, check out this portrayal of Aaron Hernandez. When it comes to acts of violence similar to the one in Charleston (such as Columbine, Aurora, and Sandy Hook), it’s very easy to see that the suspects are practically always white, and it’s true that the word thug does not come to mind. If you end your though process there, you can conclude that white murderers are not called thugs. I refuse to stop thinking. Unfortunately (not in reality, but for the sake of analyzing the situation), we don’t have an example of a black perpetrator involved in a similar crime (although no one is talking about this past weekend’s next worst story). We do, however, have cases of black serial killers, namely the Washington D.C. sniper. The D.C. sniper and his accomplice were two black men who killed ten people over 23 days in October, 2002. They did not portray themselves as gangsters, and were not referred to as thugs. We accurately know them as psychotic murderers. While their skin tones matched Michael Brown’s, their culture did not. Circumstances trump race. So, what about Islamic terror vs. white terror? As I explained in “How to Cure Your Liberalism (Part 1)”, white is a race, and race is myth, so white is a myth. Islamic extremism, on the under hand, is a religious movement that anyone can participate in. Boko Haram members are African, the Taliban seems to be mostly Middle Eastern (which is technically Asian), and ISIS members are sometimes Australian. In other words, religion and terrorism are independent of race (which doesn’t exist, remember?). But to say that whites are never called terrorists because they are white is absurd. Who are the two most famous terrorists in American history? Osama Bin Laden and Timothy McVeigh. One orchestrated a plot to kill and terrorize Americans based on his religious and/or political beliefs, the other wickedly bombed a government building to make a statement. Both were done with intent, were rooted in ideology, and sought to trigger widespread panic. The shooting in South Carolina meets the same criteria. The movie theater shooting in Aurora, the Columbine massacre, and the Sandy Hook Elementary School shooting do not fit the same description. The murderers in these instances were psychotic. The Columbine killers had no ideological reasons behind their scheme. They were full of hatred and sadness, and did what they did for the thrill and the fame. The Aurora shooter was a disturbed recluse and his motives are still unknown with the trial still in progress. Psychiatrists have deemed that shooter to be mentally ill, but there are still no concrete answers or evidence proving an ideology inspired his actions. The 2012 shooting spree at Sandy Hook Elementary School also lacks a clear motive. Twenty children, six staff members, the killer, and his mother were killed for an unknown reason. To refer to these acts as thuggery or terrorism would require jumping to a conclusion based on emotions and a desperate, irrational desire for equality across the board. Like the murders of the D.C. sniper, these were evil deeds of the individually insane. We are not being racist in our terminology. There was another major happening involving race in the days before the shooting in South Carolina, and we should not forget about it. A woman in a high-ranking position for the NAACP was caught lying about her race. And while obviously non-violent, her actions are just as racist and divisive as of those of the shooter in South Carolina. Rachel Dolezal lived her life in a way that was dictated by her perception of race. She has been teaching children and anyone else willing to listen that race is something to be celebrated, protected, and dealt with, instead of forgotten with the theory of a flat Earth. She is a shyster on all counts, and hopefully she can get some psychological help and apologize to the people she’s been lying to. Some people are calling for an honest and open dialogue about race. Others want guns taken away. Some want the confederate flag to be banned. The truth is, we have to take the Winston Churchill approach: Keep calm, and carry on. The only honest and open dialogue about race is figuring out who’s willing to rise above it, and who is going to let it control their minds and their lives. If you talk about race, you’re talking about nonsense. We are all humans. We need to progress past the idea that we are not, and leave everyone else to catch up later. Personally, I fear guns, and would like to live the rest of my life without seeing another one. But we can’t give our guns away. We have the right to bear arms to prevent a tyrannical government from exceeding its constitutional authority. If we lose the guns, we lose our freedom, and then we’re back to needing a bloody revolution (albeit an impossible one since the government’s stockpile of weapons and ammunition will remain). And, for arguments sake, from a logistical standpoint, the people who would surrender their guns first would be law-abiding citizens: the people we actually want to be armed. Criminals and the black market will not follow new gun laws (you know, because they’re outlaws), and we’ll be at their mercy until the government is forced to turn the Land of the Free into an absolute police state (good times). As for the confederate flag, just shut up. It’s a piece of cloth. Focus your energy elsewhere. We have to remain objective, and control our emotions. We have to be responsible for ourselves, and spread the word that hard work and good decision making will eventually improve your quality of life and your state of mind. We have to promote the immeasurable value of human life. We can’t let our superficial traits hinder our individual potential, or continue to divide us. The world is an imperfect place, and “safety” is a false-concept. Stay vigilant, take care, believe in yourself, and be good.